The penultimate round of Vodacom Super Rugby matches will be played this weekend, and the action kick off on Friday evening in Johannesburg where competition leaders the Emirates Lions host the Southern Kings. The match at Emirates Airline Park starts at 19h00. Springbok flanker Jaco Kriel will again lead the Emirates Lions in the absence of regular skipper Warren Whiteley, who will miss the rest of the competition because of a shoulder injury. The Highveld side have already qualified for the playoffs and will be looking to maintain their momentum against the Eastern Cape side. Kriel and his team mates have won their last four matches with a bonus point and are currently top of the overall standings. A bonus-point win will not only secure them home advantage for the rest of the knockout stages, but will also see them equal their franchise winning record of five victories in a row. DHL Western Province Under-19 have been bolstered by the inclusion of four Junior Springbok forwards in their match-day squad to face the Sharks U19 in Durban on Saturday. Flank Ernst van Rhyn, lock Cobus Wiese and prop Carlu Sadie all take their place in the starting line-up for the match which kicks off at 16h50, whilst flank Zain Davids is set to provide impact from the replacements bench, with all four having recently returned from national duty at the World Rugby U20 Championship in Manchester. The top senior women’s provincial players will look to kick-start their season on a high note on Saturday when the A and B Sections of the SA Rugby Women’s Interprovincial Competition start get underway across the country. Eastern Province will meet Western Province in the opening game of the season at 13h00 at the Zwide Stadium in Port Elizabeth, which also marks the first match of the A Section. In the opening game in the B Section the Pumas will host the Valke at the Witbank Stadium. Your DHL Stormers squad for this weekend! Rynhardt Elstadt will earn his 50th DHL Stormers cap if he comes off the replacements bench in the Vodacom Super Rugby clash with the Western Force in Perth on Saturday. The hard-working utility forward, who is equally at home at flank or lock, first featured for the DHL Stormers in 2011 and has always offered an imposing physical presence. DHL Stormers coach Robbie Fleck has had to make two injury-enforced changes to the starting XV that lined up against the Rebels in Melbourne last week, with Sikhumbuzo Notshe replacing the injured Nizaam Carr on the flank whilst Alistair Vermaak starts at loosehead prop as Oli Kebble is sidelined with a knee injury. As a result prop Wilco Louw and utility back Huw Jones come onto the replacements bench which features five forwards and three backs. Close encounters dominated an exciting second day’s play at the Under-13 Coca-Cola Craven Week at Paarl Gymnasium on Tuesday, as the teams threw everything at one another after finding their feet on the opening day on Monday. By the end of the day’s play hosts DHL Western Province, the TW Profile Services Valke, Sharks and Itec Blue Bulls remained the only unbeaten teams in the competition. In the main matches of the day, hosts, Western Province ground out a narrow 5-3 victory against the Golden Lions, the Valke defeated the Konica Minolta Free State 16-12, and the Blue Bulls held their nerve for a 5-0 victory against their sister union, the Limpopo Blue Bulls. The Under-13 Coca-Cola Craven Week and Under-16 Coca-Cola Grant Khomo Weeks got off to a thrilling start at Paarl Gymnasium on Monday with a healthy mix of big wins and tight clashes entertaining an enthusiastic crowd. The National Girls Under-18 Week, meanwhile, also provided good entertainment at the Northern Cape High School in Kimberley with Border, Western Province, the Leopards, Boland, Zimbabwe, the Limpopo Blue Bulls and the Pumas kicking off their campaigns with victories. In Paarl, a total 19 matches were played on the opening day of the tournament, which saw the U13 and U16 teams alternating on four fields in a festival of rugby. DHL Stormers loose forward Nizaam Carr will fly home to Cape Town from Perth due to a shoulder injury he picked up in the 57-31 victory against the Rebels in Melbourne. Carr left the field at AAMI Park in the 36th minute on Saturday, and will see a specialist in Cape Town after further assessment by the DHL Stormers medical staff ruled him out of the clash with the Force this weekend. There will be no replacement flown out to Perth as DHL Stormers Head Coach Robbie Fleck is happy with the cover he has at his disposal. “We brought 16 forwards with us on tour initially, so we feel we have enough cover and will not need an extra player to fly out for this match. “Our focus is on the Force this weekend, and the players are determined to build on our performance against the Rebels to make it two wins from our two games in Australia,” he said. 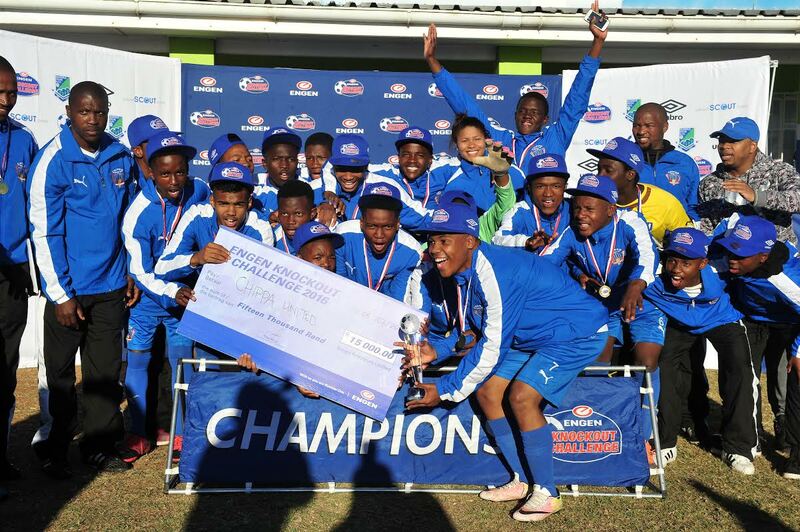 Chippa United beat a gallant Rangers FC to successfully defend their 2016 Engen Knockout Challenge, Port Elizabeth title at the Gelvandale Sports Complex on Sunday, 03 July, 2016. 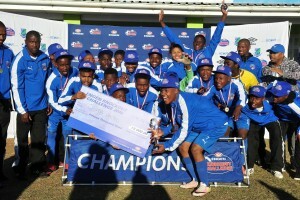 Three days of intense competition produced some exciting football culminating with Rangers and Chippa United squaring up against each other in the 2016 Engen Knockout Challenge final in front of a large local football following. After 90 minutes of intense end-to-end action the game ended goalless leading to a dreaded penalty shootout. The net bulged with frequent regularity as player after player succeeded with his penalty kick, eventually the fate of the title was settled when Chippa scored their winning penalty in a sudden death shootout after a Rangers player miscued his shot. The Under-13 Coca-Cola Craven Week and Under-16 Coca-Cola Grant Khomo Week tournaments will kick off at Paarl Gymnasium on Monday in a fresh and exciting new tournament format as part of the SA Rugby Youth Weeks Series.